Pippa Da Costa has certainly lived up to our expectations with this new novel - let’s hope it morphs into a great new ongoing series. Our world now includes a fae population which creates a whole new level to social and political agendas. The two principal characters have strong, well defined personalities which make for good dialogue and a potentially volatile romance. Melding the two together in an ambivalent relationship gives the story an impression of emerging tiers. Warring personalities combined with warring agendas. 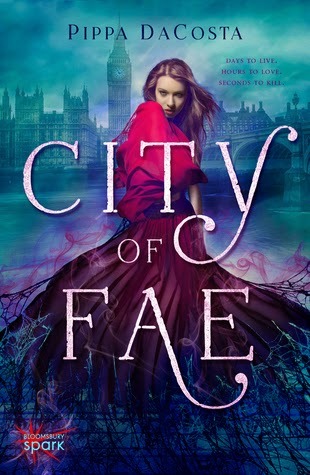 The novel provides a fairly small group of supporting characters, put together as a whole, this gives the book the creation of a strong micro-niche of a fae and human London. The plot brings in to play conflicts that surround their lives, both as individuals but also pressures that include their personal and workplace agendas. These include a reporter, a detective, a queen and a rock god. To give the novel and incredibly good oomph is the sensational couple of twists that jump out a greet you. Boo! Sounds good? What more could we possibly want from an engrossing book?